We are excited to announce that 'The Loft' has been shortlisted in the Offices Category at the INSIDE Festival this year. 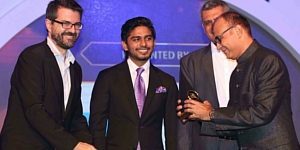 In order to encourage new ideas and techniques that are incorporated in building the sustainable, aesthetically appealing and technological driven development, Saint-Gobain & The Economic Times Smart Green Awards 2018 is an attempt to recognize and reward the game changers of Indian Architecture and Design Landscape. We are excited to announce that the ‘5 Element House’ was among the top five villas to be shortlisted while ‘The Loft’ went on to win the Workspace – Large Category. 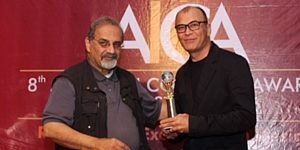 The IIID Anchor Awards seeks to recognize and award excellence in Interior Design Projects under various categories. 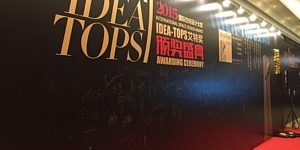 After winning the Zonal Award for ‘The Loft’ – Commercial Workspace (Large), we are pleased to announce that Studio PKA bagged the National Runners Up Trophy in the same category, for The Loft, at IIID Anchor Awards 2017. 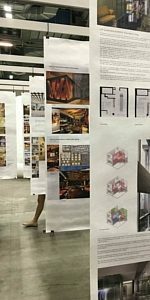 The Delhi Architecture Festival 2016 kicked off with a series of events aimed at bridging the gap between architects, designers, planners and students. 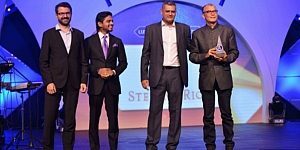 The 3 day event culminated with the DAF Awards 2016 which saw architectural and design entries pour in from across the globe, with studios vying for the coveted award. We were extremely delighted to learn that the residence, in Alibaug, was lauded by a distinguished panel of judges comprising a group of leading academicians and practicing architects from across the country. 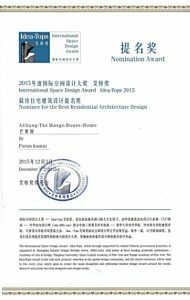 The Mango House, with its deep rooted vernacular belief was adjudged the winner in the Residential (Built) Category. The modern home stood out as a shining example of functional clarity all the while respecting the integrity of the site and accentuating the purity of the materials used. The winning entries have also been featured in the DAF 2016 book that was unveiled with much fanfare, at the event. 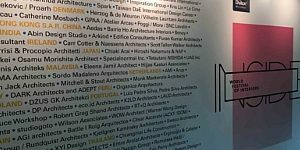 The third edition of AD50 was an endeavour to spotlight the best in residential design across India, Pakistan, Bangladesh and Sri Lanka. The carefully curated list focused on individuals and firms whose projects represent the power of architecture to transcend functionality, create enduring spaces for its inhabitants, and define new idioms for the cities in which they are located. 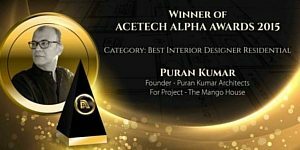 The Mango House, lauded for its simplicity in style, richness in texture and spirited atmosphere was featured and Puran Kumar Architects was awarded a place among the AD50. We are delighted at being named among the top 50 stalwarts within the sub-continent. The studio showcased a mix of projects completed within the year of 2014 – 2015. 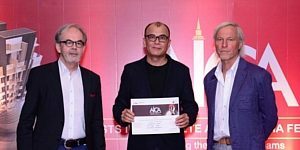 As per the Artists in Concrete Awards (AICA) format, they were assessed amongst the top entries from South Asia region. 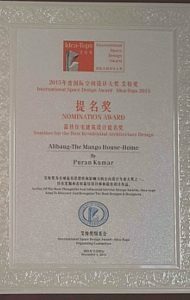 The Mango House story connected with the jury and was presented the commendation award for the best ‘Interior – Residence’. 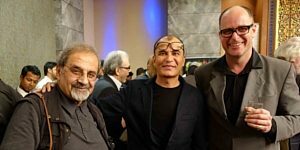 This event is known to consolidate and expand the contribution of the Interior Design profession towards improving quality of life in contemporary and future societies by the sharing of knowledge and experience and the understanding of responsibilities. Among many competent projects, we were pleased to know, ‘The Mango House‘got awarded the Design Excellence Zone Z2 Regional ‘Runner Up’ under the ‘Residential Single Dwelling’ category. 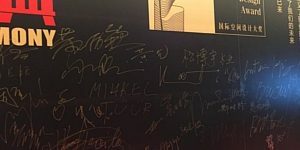 It is an event bringing together the leaders of Construction, Architecture and the Design Industry to celebrate excellence in their respective fields. Formerly known as ACETECH Felicitation and Gala Networking Night, it is conceptualized to felicitate pioneers and trailblazers in the industry. ‘The Mango House’ charmed its way into the competition, and picked up the award for winner in ‘Best Interior Design – Residential’ category. 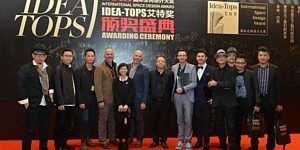 The International Space Design Awards aims to discover and recognize the best designs in the fields of architecture and interior design. Out of diverse entries and a painstaking short listing, comes another significant and rewarding moment for PKA. Bringing home a nomination for the best Residential Architectural Design on an international level, The Mango House creates waves for its unique style and raw beauty. 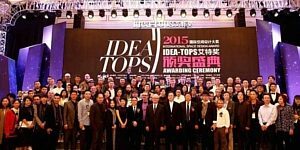 ‘Inside Awards’ – one of the most prestigious international awards – is co-hosted along with ‘World Architecture Festival – WAF’, and focuses on celebrating the world’s best in interior design. The understated yet heart warming project, ‘The Mango House’ entered the competition in the Residential category. The project got shortlisted, as the only one from India, and as one of the eight finalists amongst the World’s finest residences for the year 2015. 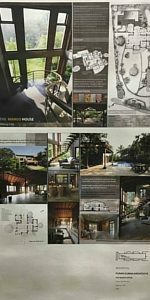 In Nov ’15, TMH made an appearance by way of a live presentation at the WAF ’15 in Singapore, and was lauded as an impressive attempt at an organic approach to residential designing. 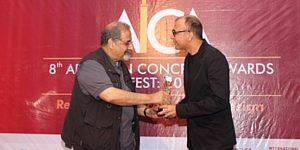 Artists in Concrete Awards (AICA) Festival is an annual celebration of architecture, interiors and landscape design. ‘The Mango House’, surpassing conventional residential design, competed with projects from Asia’s elite designers.The design philosophy and principles of TMH was esteemed highly and received an honorary commendation award in the ‘Architecture– Residence’ category. 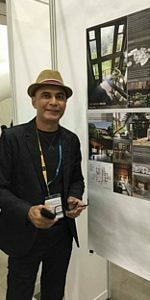 The firm participated in the regional awards by showcasing ’14 Pali Village’ – a studio for Rakeysh Omprakash Mehra Pictures Pvt Ltd. The unique character of the project came from catering to a modern production studio within a traditional village setting. It won the ‘Runners Up’ awards in the ‘Workplace – Small’ category.